Posted On January 19, 2015 by Team iCynosure. What does every girl dream about? A wonderful prom evening in the company of the boy of her dreams dancing the night away. 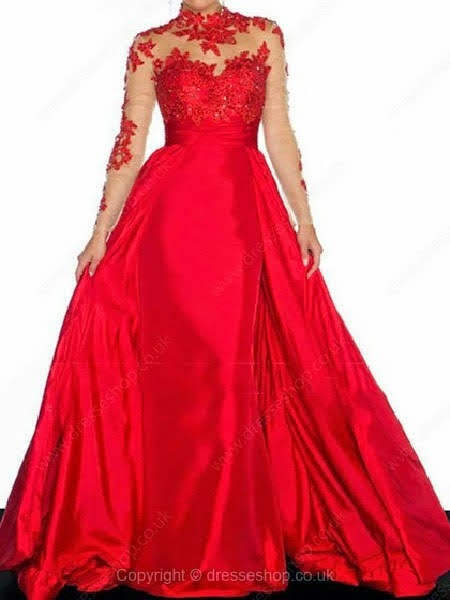 But for that prom evening to reach its beauty, girls you must consider getting beautiful prom ball gown that makes you look like a pretty princess. Choose a princess gown in pastel peach or a crisp silver or go basic in a girly pink or a cloudy blue. Get a colour that highlights your skin tone to look spectacular on the most important day of your school life. There are so many things to keep in mind when picking the right prom ball gown, from colours to fits to embellishments. There are some amazing colours from bright to metallic to pastels. To be yourself while standing out in a crowd, choose a colour that you like and the one that brings out a glow on your skin. Tones of red and the new age neon make you stand out, but if you are not that confident about carrying a bold colour opt for a simple colour with bits of contrast on it. If you are more of a siren, flaunt your gorgeous curves in a figure-hugging bustier top with a flowy flirty skirt dress. Pick a dress with cut-outs which are relatively small so as to look fetching and classy. Also, make sure that if you pick a gown with embellishments and or sequins; then go easy on the accessories and jewellery. A long list of options that you are faced with, you must be wondering about the prices and saying ‘Oh not in budget'. But fear not there is your dream prom dress on a budget on numerous online stores. With over 400 styles to choose from, DresseShop strives to offer amazing online service to every customer and ensure excellence in every order. The e-shop boasts of an enormous range and variety of styles from contemporary to vintage, from modern to traditional, it is a one-stop-shop. From gorgeous satin to chic organza to crisp taffeta and fine tulle, it’s all available at the click of a mouse. Additionally, the prices range from vary from $40 to $150, so you’re bound to find something that suits your sensibilities. So when you have a prom dress that is within your budget, you even have ample dollars left to indulge in some super cute accessories and a pair of killer heels. Don’t wait; shop to rock your day.